Every shot, every selfie, every screenshot. I canceled my iPhone 7 Plus order last week. Yes, I still had a two-week wait before it was scheduled to arrive, but it wasn't impatience that got the better of me. It was where I live: Japan. iPhones sold here (and in Korea) hold the dubious honor of being customized for their markets. We're not talking about extra mobile wallet functions, but a limitation -- a constraint. Ever since the iPhone 3GS arrived in Japan in 2008, taking a photo and even a screenshot (ugh) has been accompanied by a mandatory shutter noise -- one that iPhone users elsewhere probably turn off right away. Even switching to mute mode doesn't halt the awkward "passht" that was added to discourage covert photography. I'll soon leave Japan and return to my native England, at which point I'll reconsider upgrading. I'm not buying another Japanese iPhone. The mandatory shutter sound has been a part of Japan's camera phones almost since the first ones went on sale back in 2000. This was the first country to sell camera-equipped phones that could send photos electronically. Kyocera's VP-210 had what was then a cutting-edge 0.11-megapixel sensor: the era of camera phones had begun. 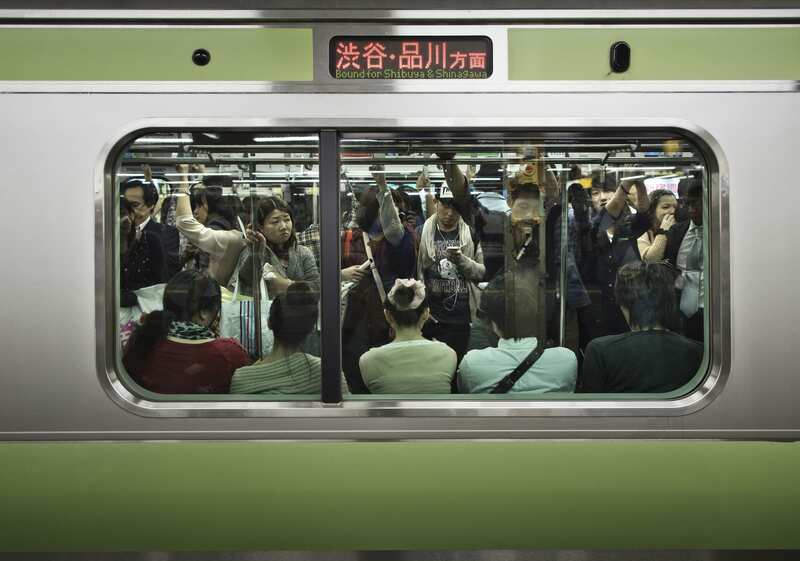 As these devices proliferated and people got used to attaching photos to emails ("sha-mail"), voyeuristic "up-skirt" photography became a concern — especially in crowded places like rush-hour trains. According to Akky Akimoto, writing for The Japan Times in 2013, people were discussing the issue online as early as 2001. There's a misconception that there's some kind of legal provision to ensure smartphones (or feature phones) make a noise when you take a photo, but that isn't the case. Over these years, sending photos became a core feature of modern cell phones, and wireless carriers took it upon themselves to ensure that all the models they offered came with built-in cameras whose shutter sounds couldn't be disabled. NTT Docomo has said it was implemented "to prevent secret filming or other privacy issues." A SoftBank spokesman gave me a similar answer: "When we first offered camera phones and the 'sha-mail' service around 2000, we requested that manufacturers make the shutter sound compulsory, even on manner mode." "This was done to prevent camera phones from being used in ways offensive to public morals. 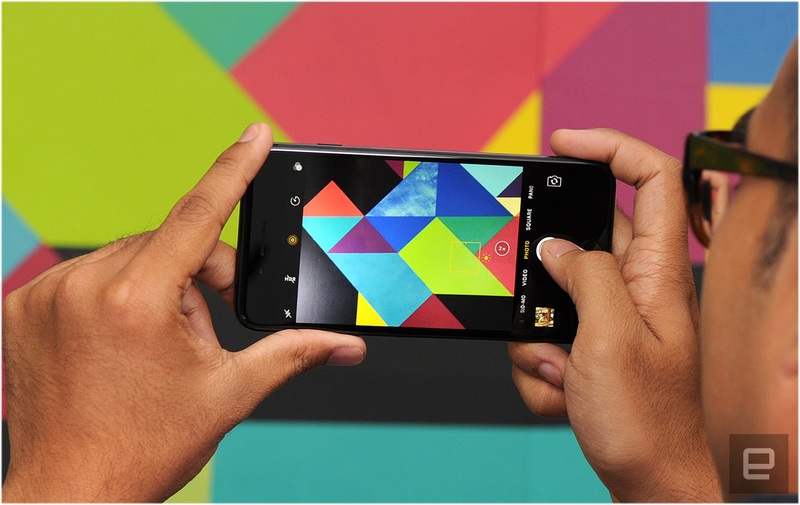 We continue to request handset manufacturers use the shutter sound," the spokesperson continued. Phone manufacturers and carriers have cooperated ever since, ensuring all phones sold in Japan make a sound for still photos, still videos and screenshots. While this might be seen as a well-intentioned move (and one that could discourage would-be voyeurs), the companies are protecting themselves against legal repercussions from anyone who gets harassed or sees photos of themselves online or elsewhere, taken without their permission. 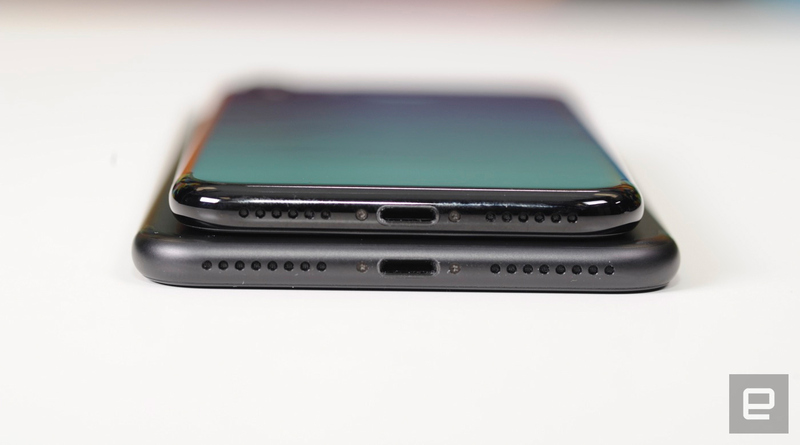 Apple's iPhone is the same. Worse, the iPhone 7 actually has the noisiest shutter sound yet -- something that my Japan-based colleagues are blaming on the new stereo speakers. 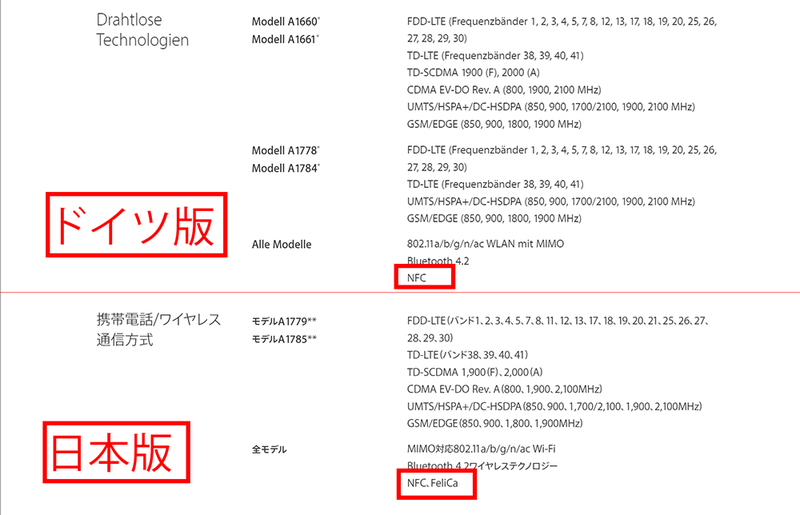 Japan residents could buy an overseas model: Recent iPhone models share a lot of LTE bands across countries, and the company even displays all the radio bands of each iPhone model it sells. 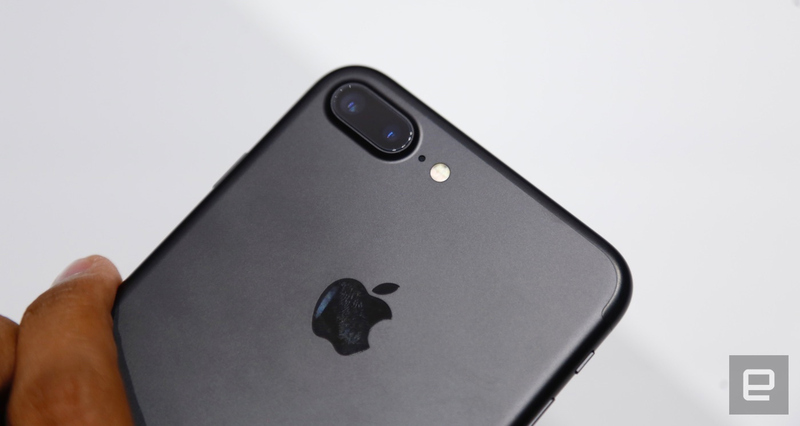 However, the iPhone 7 is the first Apple phone to work with the country's well-established Suica contactless payment system, used in convenience stores, restaurants and the country's national railway. The American variant (or the Hong Kong one, anywhere but Japan) doesn't include the same contactless hardware. The mandatory noise hasn't solved the problem of cell-phone voyeurs either. According to The Japan Times, which cites an NHK TV program from early 2013, the Tokyo Metropolitan Police had seen a 24 percent annual rise in "camera voyeurism" -- up 60 percent from 2007. The majority of those (64 percent) had used cell-phone cameras, although there's something to be said for the remaining percentage that were taken on cameras that weren't forced to make a shutter sound. Limiting creepy photographers with enforced smartphone sounds is worsened by the availability (especially in Japan and Korea) of "manner camera" apps that allow users to take photos on iPhones and other smartphones with no faux shutter sound. These are often slower, typically taking lower-quality pictures; you also can't launch them from drop-down menus or the lock screen. Unfortunately, if unscrupulous types really want to take covert photos of unsuspecting people on trains and elsewhere, they will find a way to do so. With the current iteration of iOS 10, Japanese users can tinker with the phone's accessibility functions to add a mute toggle to the screen that silences the shutter noise. But this is likely a bug that Apple will squash in a later update, which means my new iPhone order will remain canceled for now. I'm not some kind of covert photographer; I just hate being so conspicuous when I use my smartphone. I can tolerate it in Japan, where everyone suffers the same fate, but anywhere else, where you can mute your phone, I look like an incompetent fool who got his first smartphone in 2016: "You can mute that, you know." "No, I can't.."